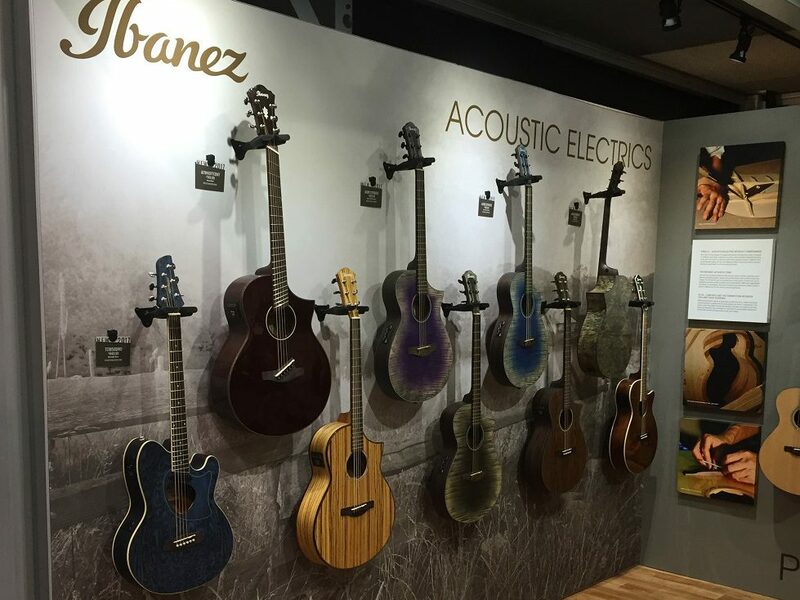 Hoshino (U.S.A.) Inc. is the U.S. distributor of the popular Ibanez and Tama brands of musical instruments, and a subsidiary of the Hoshino Gakki Group based in Japan. 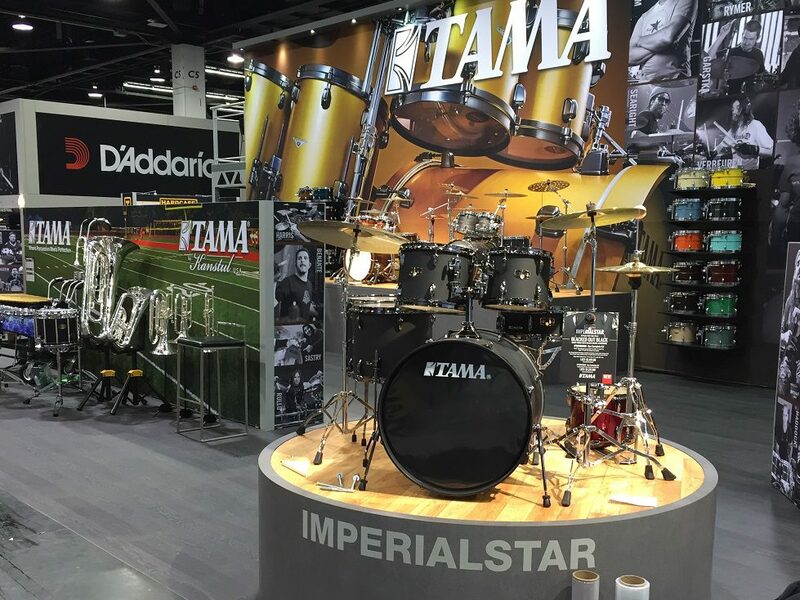 Tama is known for drum kits and related components. 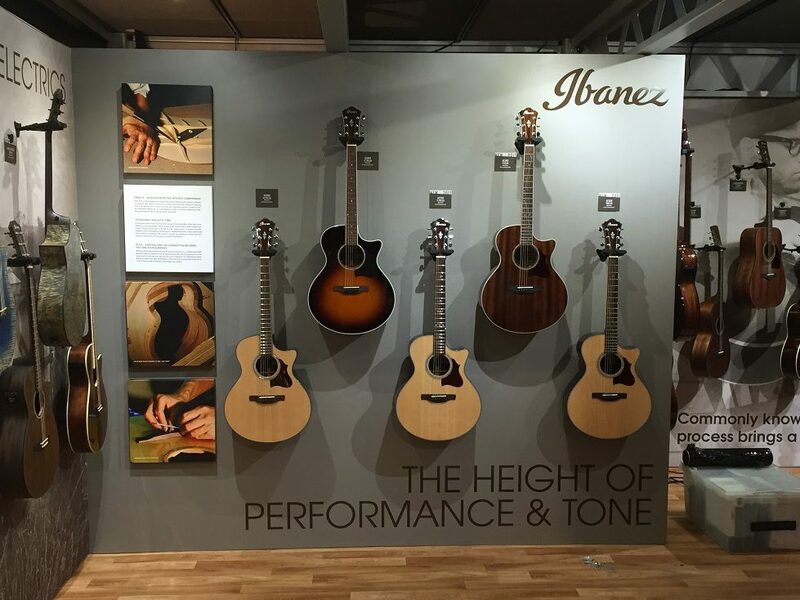 The Ibanez brand offers a range of guitar models in a wide array of styles. 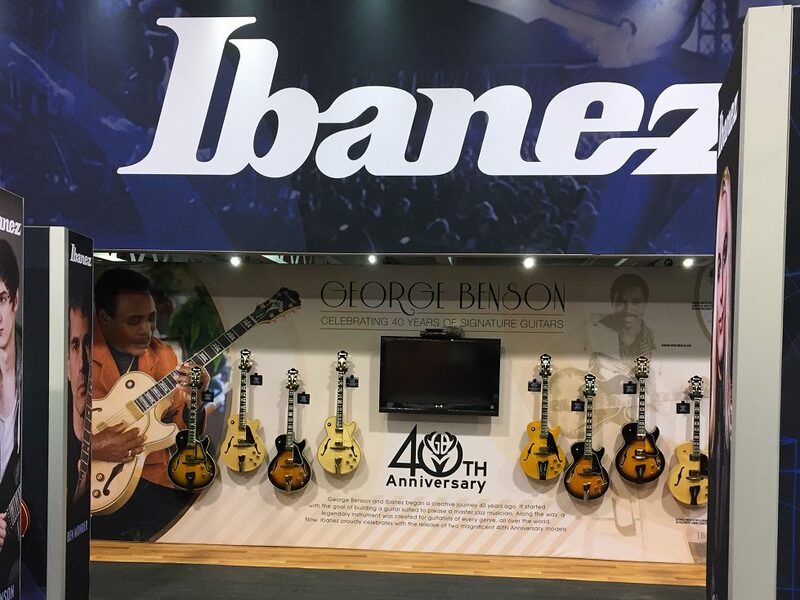 Both brands boast a long list of famous musician-users such as Pat Metheny, George Benson, Stewart Copeland (The Police) and Randy Castillo (Ozzy Osbourne). 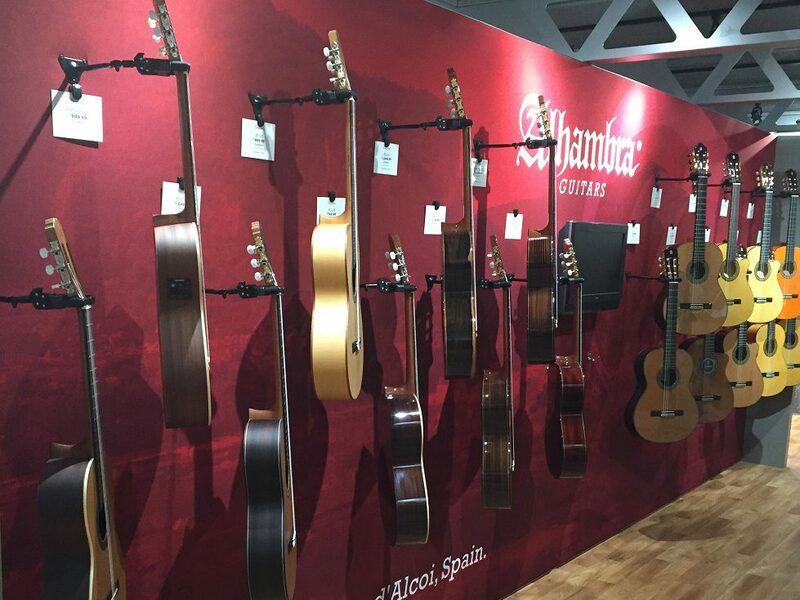 Hoshino shows off both product lines every year at the NAMM Show in Anaheim (National Association of Music Merchants) – a fun, noisy show that sounds much of the time like an orchestra tuning up. 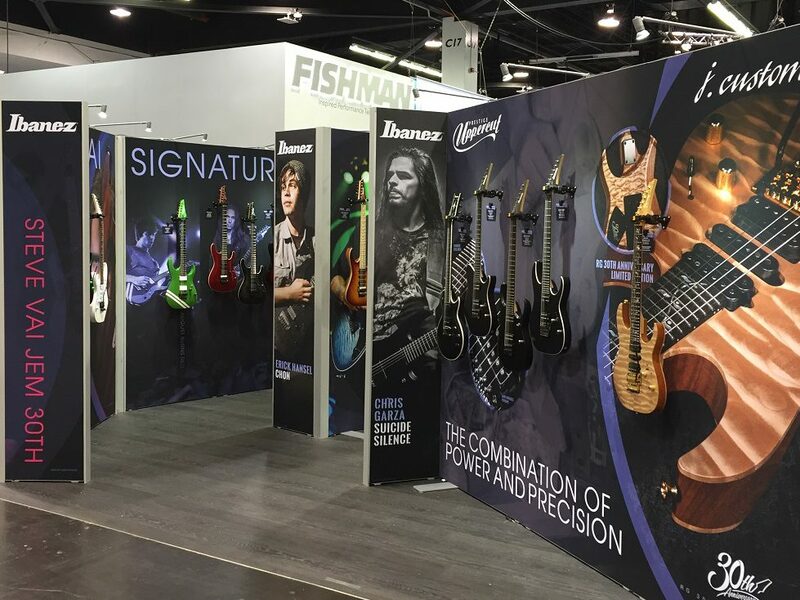 This year Hoshino wanted a product presentation for their 60′ x 80′ exhibit that was a bit more sophisticated and high-end than the more minimalist, rock-and-roll-look they’d used in the past. Art Guild was proud to win the competition to design and build that exhibit. The results can be seen in the slide show above. A few key highlights include an incredible amount of over-size fabric graphics – even by today’s standards – to reduce shipping and setup. A big (14’ x 40’) aluminum upper-deck with two staircases. 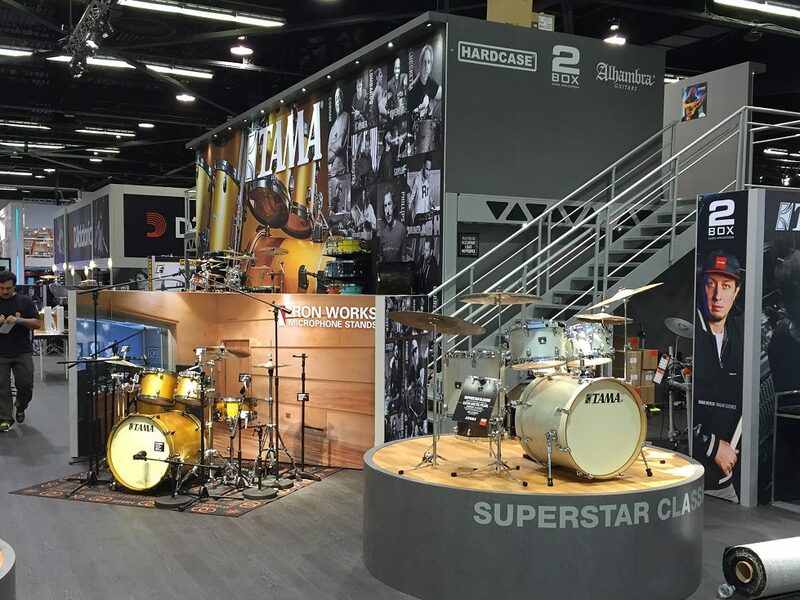 Elevated drum kit displays to avoid tempting the many drummers who often show up drumsticks in-pocket (playing the guitars however is encouraged), and the job of tuning over 300 guitars right before the show opened. Post show the exhibit was stored in out Vegas facility to keep it close to where it’s needed next.